Not since the days of Sun Ra have I witnessed someone so passionate about creating world change through the medium of music. Craig Snape aka Kung Fu Jesus is a brilliant songster with just such a mission. Not only has this multi-instrumentalist gained a worldwide following of Grateful Dead proportions in recent years, but the integrity of the messages conveyed in his songs and musical genius has come to be admired by people from all walks of life. Multi-instrumentalist Craig Snape aka Kung Fu Jesus proves his musical genius. 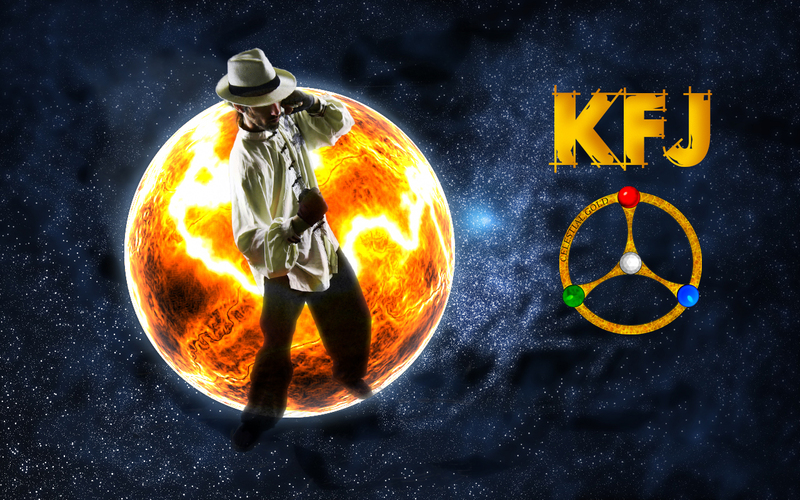 Kung Fu Jesus’ latest album, The Kantele Tapes, is a great testimony of the musical alchemist’s hybrid recipe of classic rock, folk, soul, and world music. 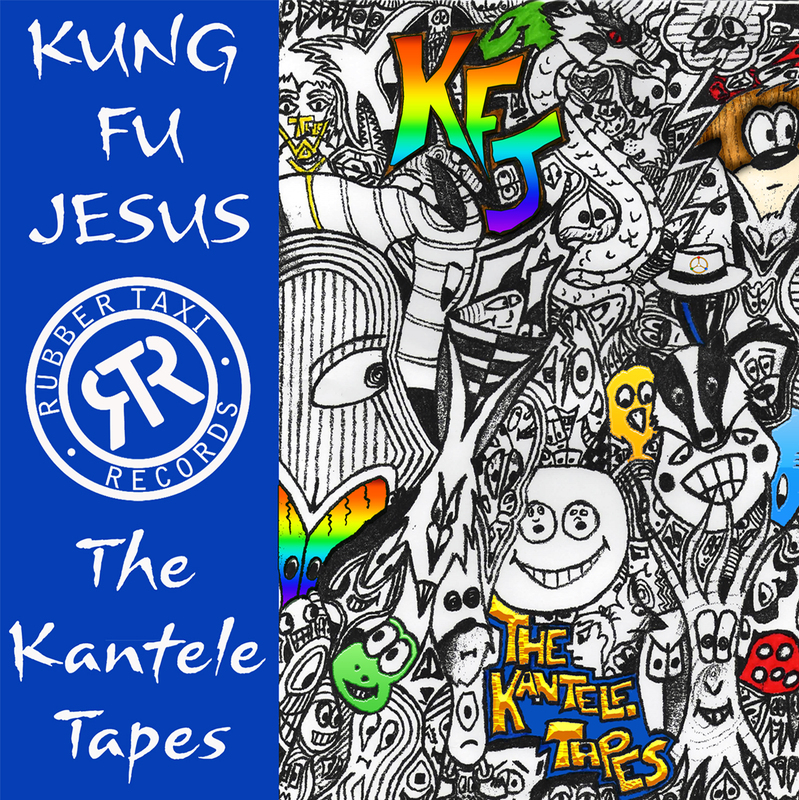 Mainly inspired by his philosophy of life, Kung Fu Jesus takes us on an interdimensional journey with his new album, The Kantele Tapes. The Kantele Tapes is a great album for those who appreciate good music. Tracks like Freight Train, Shine A Light, and KFC, make this masterpiece something more than just an ear tickler for one’s listening pleasure. Kung Fu Jesus has set forth a musical precedent in motion with his latest offering. The Kantele Tapes is a work that should be studied for its innovative quality with the same amount of awe and respect as Pink Floyd’s Dark Side of the Moon and The Beatles’ Sgt. Pepper. One of my favorite songs off The Kantele Tapes album is a track entitled, Let The Sun Shine. It is a colorful melody. This tune has a hint of an adolescent’s awakening to the world and appreciation for our native Sun in a sort of brainy way. Kung Fu Jesus is able to capture the essence of the song’s emotions with a clever music video presented in anime style. Aside from the video, Let The Sun Shine is an amazing song. The melody is has a lot of depth. It is easy for the listener to see that Kung Fu Jesus really took his time to get the production right. The drums and bass provide a simple but perfect foundation for the vocals and some spectacular keyboarding, which turns this track into a bright dream. Kung Fu Jesus earns a badge of intelligence in making the video for this song an anime. As many of us are well aware, anime originated in the “land of the rising sun,” popularly known as Japan. So I found his approach to creating a video for Let The Sun Shine as an anime really in synch with the song’s title. The video does a great job in making the lyrics of this tune come to life. A perfect example of this is Kung Fu Jesus’ verse about his relationship with his father and the visual of a little boy walking with his dad in the sunlight. Let The Sun Shine is a great song and fully illustrates that Kung Fu Jesus has got the perfect book of psalms to redeem a fallen music industry back into the realm of talent. A harmonious and peaceful track, the anime music video gets extra points.